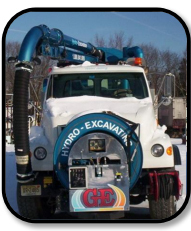 Hydro-excavation is a non-mechanical and non-destructive process combining pressurized water and high flow air to excavate at a controlled rate. This process allows for quick, clean & precise evacuations which require less backfill, labor force, restoration, & environmental impact than conventional excavating methods. While working on the job-site, safety is the top priority for the community, client, and the contractor. Implementing safe practices protects the employees and the public from injury and death. There are many disadvantages to not following safe operational practices. These include a loss of resources such as equipment damage, as well as time in reporting the accident, and avoidable cost. Additionally, the contractor is burdened with increased insurance costs and irrevocable damage to the reputation of the company. As mentioned earlier, GE Mechanical’s hydro-excavation processes can safely and confidently reveal buried utilities. Therefore, the general public will not experience avoidable power outages because of accidental line damage. Furthermore, gas lines are protected and emergency evacuations are virtually eliminated. Proper excavating around utility lines is beneficial for the community, the client, and the contractor. Consequently, it is quickly becoming the preferred method by utility operators. Since the operator’s are working with dangerous utility lines, serious injury and death is a major concern. 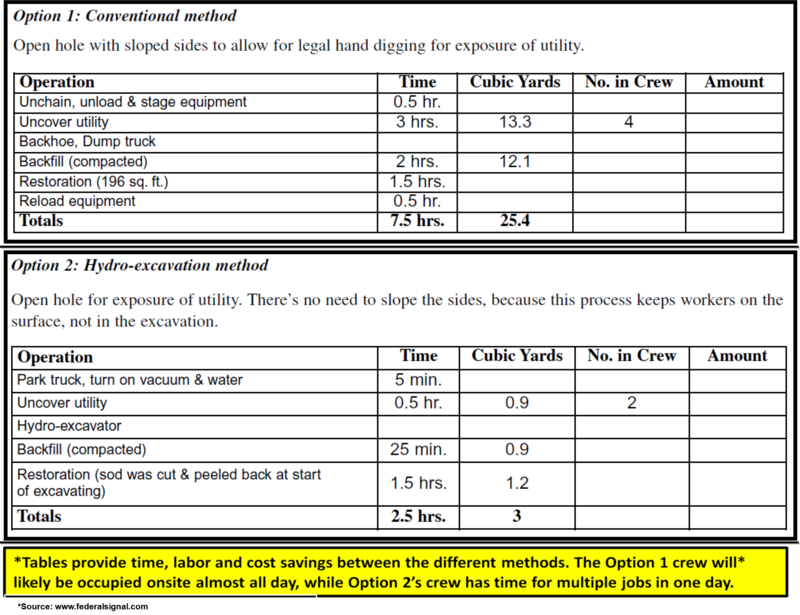 However, through hydro-excavating processes, the safety of the operator is vastly improved as he or she can work on the surface out of the excavated hole. For that reason, accidental trench cave-ins are virtually eliminated. Hydro-excavating is unique in that remote locations do not present a problem when excavating. GE Mechanical’s Vactor services allow for proper excavating when conventional excavating equipment cannot access the construction site. This can be accomplished through the extendable rubber hose, which allows GE Mechanical to work over one hundred feet away from the Vactor itself. Furthermore, excavating inside a building or under a structure is no longer an issue. The vacuum hose and pressurized water gun can complete this task leaving a nonexisting footprint with no spoils to remove. Hydro-excavation is safe, smart, and reliable allowing for “surgeon like” accuracy. GE Mechanical will remove only the material necessary for the inspection or repair. GE Mechanical offers emergency Hydro-Excavation services that are available 24 hours a day, 365 days per year!